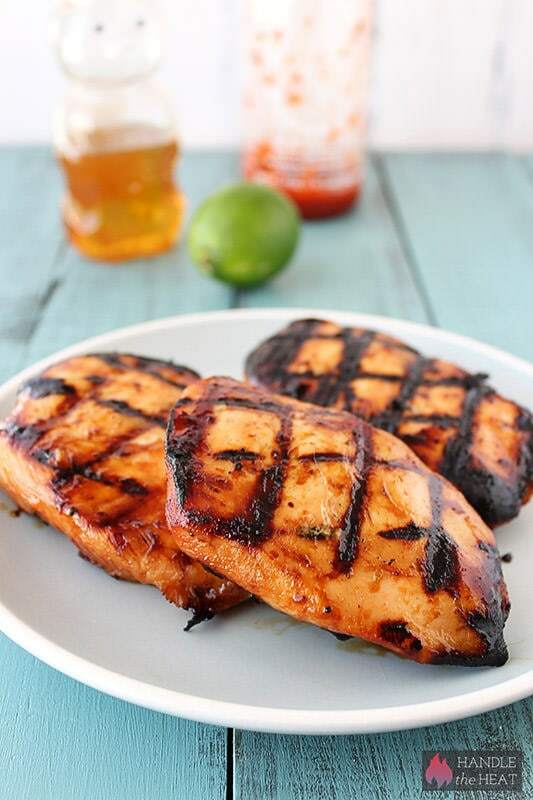 Honey Lime Sriracha Chicken is perfectly fresh, flavorful, and easy and is my new favorite way to make chicken breasts. No boring bland chicken here! TASTE: Bursting with fresh, citrusy, sweet, spicy, and savory flavors. TEXTURE: Super juicy and moist. EASE: Very easy – watch the video to see how I make them! APPEARANCE: Just like at a restaurant! PROS: Healthy, fresh, flavorful, easy, everyday food. Do you ever wonder what life would be like without modern technology and media? Without Twitter, Facebook, Instagram, and blogs? Sometimes when I’m staring at my iPhone screen I wonder just how many tens of thousands of times I’ve gazed at that one same screen? How would I navigate the world without GPS and Google Maps? How would I find random bits of information without Google? 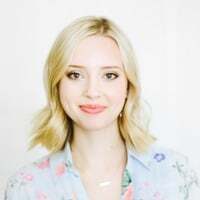 How would I would follow the daily lives of friends and even celebrities like a stop-motion movie playing before my eyes? Sometimes I wonder what the negative consequences are in relying so heavily on modern technology and media, but then again I would not be doing what I do without any of it. I can only imagine what the next ten or twenty years will bring us. Hopefully food blogs will still exist because I love sharing my favorite recipes with you all. Today’s Honey Lime Sriracha Chicken recipe is no different, I think it’ll become a staple in your weekly meals because it’s pretty much perfect. It’s everything you could want in a recipe – fresh, flavorful, easy and healthy. 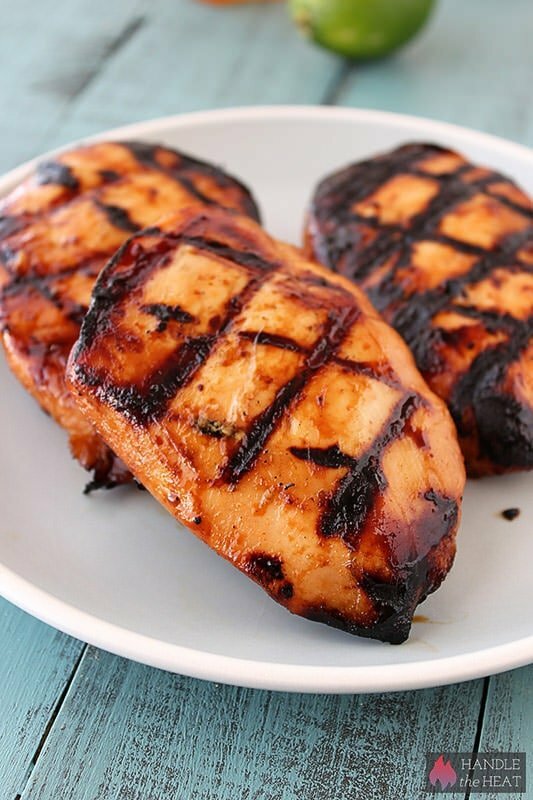 It’s a basic marinade for chicken that tastes extra wonderful when grilled, though you can cook the chicken any way you’d like. Watch the video to see exactly how I make it and let me know what you think! In a liquid measuring cup or small bowl, whisk together the honey, soy sauce, olive oil, lime zest and juice, garlic cloves, Sriarcha, and salt. Place the chicken in a gallon sized ziptop bag or other resealable container and pour the marinade mixture all over the chicken. Seal the container and shake to coat completely. Let marinade for at least four hours or overnight. Remove the chicken from the marinade before grilling, discarding the leftover marinade. Prepare the grill for direct cooking over medium heat (350°F to 450°F). Grill the chicken with the lid closed as much as possible until the meat is firm and opaque with an internal temperature of 165°F, about 4 to 6 minutes per side. Fantastic flavors, definitely need this on the menu soon! OMG…I was fortunate enough to have the ingredients on hand – made it for dinner tonight – absolutely delish!! If you don’t like things spicy just back off on the Srirachi sauce. I think I’ll add pineapple rice to go with it next time. It will burn easily due to the honey, so spray down the grill grate & keep an eye on it, it turned out just like the picture & only took 10 min to prepare marinade. Excellent recipe Tessa – as always – you’ve got some ‘mad skills’ & I look forward to your emails & recipes! These flavors sound perfect for the Summer; I love grilling chicken! This sounds delicious! What do you recommend serving it with? Could you use chicken thighs instead for this? I just made this chicken tonight for dinner, everybody loved it! Thanks for the great recipe, it’s a keeper! Awesome! I’m glad everybody enjoyed the recipe. Made it tonight and 2 out of 3 kids liked it a lot! I’m definitely going to try it with thighs next time. Great recipe! Thank you. can I bake this instead? If so, what temperature and for how long? Thanks! I would say 350°F for 20-30 min depending on the size of the chicken breasts. Love this. So simple and delicious served over white lime cilantro Rice with Black Beans, Yumm!! What sides would you make with this? I was thinking potatoes and cauliflower, but I don’t know what earthy flavors would complement the lime and honey. Hi Tessa! This sounds wonderful and can’t wait to try it it. Would this recipe still taste the same if I freeze the chicken with the marinade? I’d like to be able to have it already prepared and just be able to thaw and grill for those busy weeknights. Please let me know your thoughts! Thanks. I don’t see why that wouldn’t work! I would just be careful of letting the defrosted chicken sit in the marinade too long because of the lime juice. Came across this recipe about a month ago and I make it every week for my lunches! It has everything you could ask for! Sweet yet savoury with a little bit of spice! I bake it at 450 for 16 minutes but i cut my chicken in strips! Thanks for the recipe I call it my crack chicken! !